The London shop Christopher St. James offers an array of Lea Stein pieces. Each visit to London I look forward to finding a Lea Stein brooch to add to my collection. I first discovered the whimsical works of Ms. Stein back in 2003 in a stall at the weekly Antique Market in Covent Garden. I’m drawn to her pieces for their multi-dimensional quality, unusual textures and … her images make me smile. It used to be that these brooches were impossible to find in the US, however, Etsy has changed that. But for me part of the fun is searching out just the right one at markets and it’s become part of my UK travel tradition. Although there’s a bit of mystery surrounding Ms. Stein, we know that she is a French artist who in the 1960s, with her husband, came up with a way to layer and laminate thin sheets of plastic. This layering technique allows Ms. Stein to create texture by adding pieces of material, such as lace or metal, in between the layers. After cooling, the plastic is cut into all kinds of shapes from Art Deco women in hats (an early design) to owls, cats, and dogs. Animals seemed to be favored and today they are among the most collectible. My small but growing collection. The cat on the left is the latest find. The pink bar in the middle is vintage and may be the most valuable. It came from a thrift store in Walnut Creek years ago. My latest addition is a cat, which came from (ironically) an expat American dealer and his wife at the Bermondsey Antique Market. The couple told me they think this one is vintage 1980s but since Ms. Stein continues to produce older images (as well as new ones) it’s really hard to date her work. Many people say you just know from experience. I do think the cat isn’t brand new as the clasp isn’t stiff and it doesn’t have that shinny never-been-touched look. No matter to me if it’s vintage or not. Any Lea Stein critter is a pleasure to have and to wear. When I launched my television series That Girl in 1966, I never expected to set fashion trends. I was just excited to be bringing something groundbreaking to viewers: TV’s first independent working woman. Still, my character’s colorful, mod outfits resonated with That Girls everywhere. Her wardrobe announced that a new kind of woman- and a new age – had arrived. – Marlo Thomas, star and executive producer of the television series That Girl, 1966-1971. Ms. Thomas goes on to say in a recent interview that she has discovered, since maturing from a girl to a woman (she’s 79), that there are few sartorial choices for women such as herself that “express who we are.” What she finds are bare midriffs, slits up too high, etc. She wants a look that is covered but not covered up. Marlo Thomas models clothing from her new line That Woman. Inspired, Ms. Thomas set about creating clothing that announces another new kind of woman:one of age and style. Her clothing line is called That Woman and it debuted this month on HSN. The line offers fashions for women over 40 that both compliment and empower. Included in the 15 piece collection are dresses, tops, skirts, pants, and dusters. Hey, have you ever watched That Girl? It’s a vintage sartorial treat! Check it out on Youtube. Carrie says My Body My Business. My final presentation for Icons of the 20th Century, the class I took last fall at San Francisco City College, was on the hoodie. The hoodie has an extensive and colorful history. Having started out as a simple utilitarian piece of clothing, it has become a go-to staple for teens and elders alike. (My 89 year-old mother sports one.) But it also became associated with criminals and outlaws such as The Unabomber, making it one of the few fashion choices that carries with it much controversy. The first hooded sweatshirt was created in the 1930s by the American athletic wear company Champion Products, initially designed for athletes and outdoor laborers to wear for extra warmth. It stayed within that group of people, worn for practical reasons not for fashion. But over time it was adopted by different groups for different reasons. Starting in the 1970s, NYC graffiti artists sported the hooded sweatshirt to help cover their faces as they spray painted outside walls and subway trains. At the same time, break dancers performing in the streets also wore the hoodie to keep warm. The character Rocky in the 1976 film of the same name, wore sweats and a hooded sweatshirt while training for a shot at becoming World Heavyweight Champion. That film raised awareness of the hooded sweatshirt in mainstream America as a symbol of working class values. Fast forward to 1987 when a forensic sketch was released of The Unibomber sporting a hoodie. The Unibomber aka Ted Kaczynski, was an American terrorist who for years had been mailing bombs to various people working in academia. This image has become iconic in itself further complicating the hoodie’s reputation now associated with a criminal. Through the 1970s and 1980s the hoodie was adopted by punks, skaters, artists, and other rebellious groups. But at the same time it was still an athletic staple. Around 1991, designers such as Tommy Hilfiger and Ralph Lauren started to take notice of the hoodie in street style and incorporated it into their lines. That was the beginning of the hoodie in fashion. In the aughts, Facebook’s CEO Mark Zuckerburg chose a hoodie as part of his casual work attire. Many tech workers picked up the trend and it soon became a common fashion item worn everywhere. It was also controversial, as business professionals judged the hoodie to be too casual and affront to tradition. In 2012 African American teenager Trayvon Martin was fatally shot while walking in a Florida suburb. He was unarmed and wearing a hoodie. Following that, the various perceptions of the hoodie were widely discussed in the media posing the question – who can safely wear a hoodie? At the same time people, angry about the senseless murder of Trayvon, sported hoodies in protests around the country. And the hoodie lives on. Perhaps the only article of clothing shared by criminals, rebels, teenagers, athletes, fashionistas, and even grannies. Oh but there’s more! Check back tomorrow for The Hoodie Part 2: Inspired Design. As one who celebrates and strives for diversity, individual freedom and respect for all lifestyles, I will not participate in dressing or associating in any way with the next First Lady. The rhetoric of racism, sexism and xenophobia unleashed by her husband’s presidential campaign are incompatible with the shared values we live by. I encourage my fellow designers to do the same. 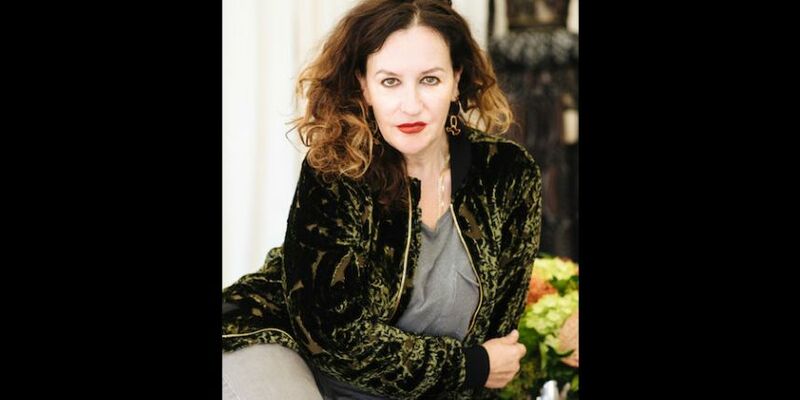 – Sophie Theallet, French fashion designer and designer for Michelle Obama. This quote was taken from an open letter from Ms. Theallet released shortly after the election of Trump. Now it’s true that Ms. Trump can buy whomever she wants off-the-rack and that is what she’s been doing but usually designers are lining up to work with any new First Lady. Even the unpopular Nancy Reagan had her go-to designers such as Oscar de la Renta, and as far as I know no one refused to design for her. I think it speaks volumes that not only are some designers NOT anxious to work with Ms. Trump but that others are using this opportunity to take a stand against the horrors of Trump and his cronies. It seems Ms. Trump is beyond unpopular, by association and frankly, by her absence of First Lady qualities. Not to mention her apparent lack of interest in being First Lady. Thank you Sophie Theallet, Tom Ford, Marc Jacobs, Phillip Lim and all the designers and artists who are standing strong against what is wrong. You are an inspiration!